What's the question every business should be asking itself? 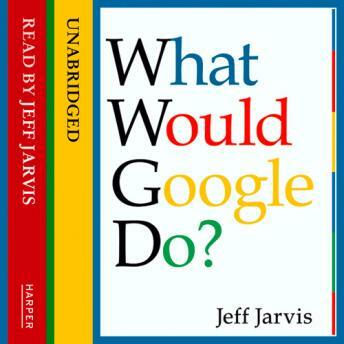 According to Jeff Jarvis, it's WHAT WOULD GOOGLE DO? If you're not thinking or acting like Google - the fastest-growing company in the history of the world - then you're not going to survive, let alone prosper, in the Internet age. An indispensable manual for survival and success that asks the most important question today's leaders, in any industry, can ask themselves: What would Google do? He applies these principles not just to emerging technologies and the Internet, but to other industries-telecommunications, airlines, television, government, healthcare, education, journalism, and yes, book publishing-showing ultimately what the world would look like if Google ran it. The result is an astonishing, mind-opening book that will change the way readers ask questions and solve problems.